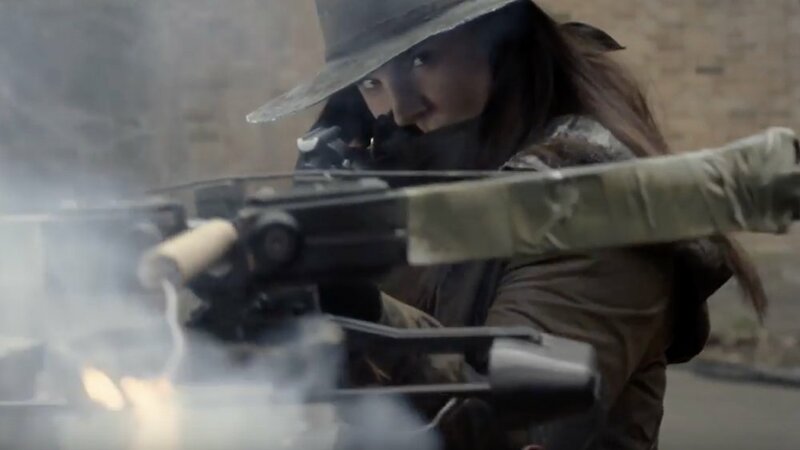 The first trailer has been released for a new post-apocalyptic action film called Scorched Earth. The story is set in a future where the world has been destroyed by an environmental collapse. The film stars Gina Carano as a bounty hunter who is on a mission to take down a ruthless outlaw. The planet has suffered an environmental collapse; the air became dangerous to breathe, the water became toxic, and billions of people died. Generations later, mankind has finally re-established a rudimentary society, in an attempt to pick up the pieces that continue to blister in the sun. Attica Gage (Gina Carano) is a bounty hunter with a chance at the bounty of a lifetime: to bring down the ruthless outlaw, Elijah Jackson. Gage infiltrates Jacksons gang, and everything is going to plan until she meets a slave girl who reminds her of her dead sister. With her loyalty to only herself now tested, Gage learns that there might be more to life than just survival. The film also stars John Hannah, Stephanie Bennett, Alisha Newton, Ryan Robbins, Nathan Mitchell, and Patrick Gilmore. Scorched Earth will be released on February 2nd. Does this look like a movie you might enjoy?